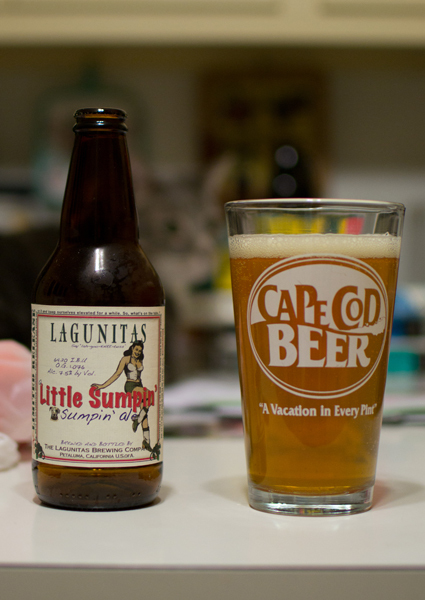 Beer #324 is A Little Sumpin’ Sumpin’ Ale by Lagunitas Brewing Company from Petaluma, California. Their version of an American Pale Wheat Ale has an ABV of 7.5%. There is just something about the name of this that makes me smile. Appearance – Golden in color with a small cream colored head. Nose – This smelled so good…very hoppy with lots of citrus. Pineapple, grapefruit, pine, oranges…right up my alley! Taste – Very fruity…with the pineapple, orange & grapefruit (both white and red) being the stars here. There was a decent pine flavor and bitterness here also more near the end. 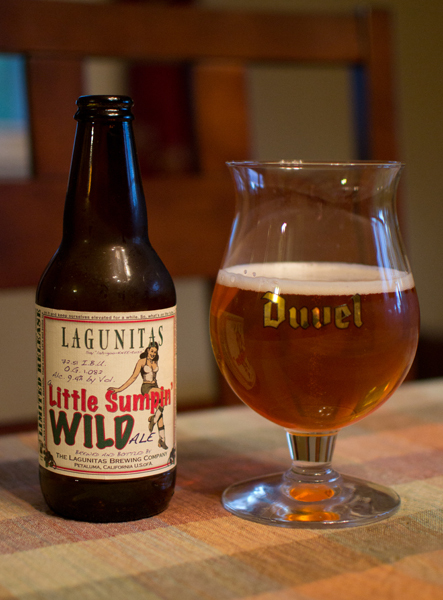 Add in a bit of bread like wheat flavors and this is one delicious brew. Mouthfeel – Medium body leaning a bit towards being sticky and syrupy…in a good way. 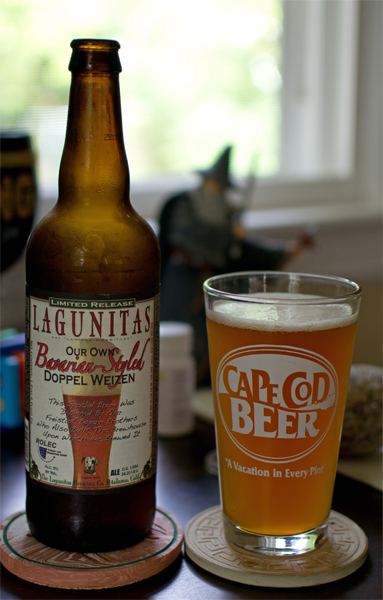 The carbonation was fairly low and that made this quite creamy. Overall – This was one of the best beers I have had. It was absolutely delicious. It was like an American IPA mixed with a Weissbier. I’ll tell you one thing…I’m going back to where I got this and buy up whatever they have left…it was that good! Summertime and the living is greasy…sure felt like summer today…and I love it! Sweat, sweat and more sweat. So much better than 8 inches of snow or 15 degrees above zero. The heat makes me thirsty…so lets drink! 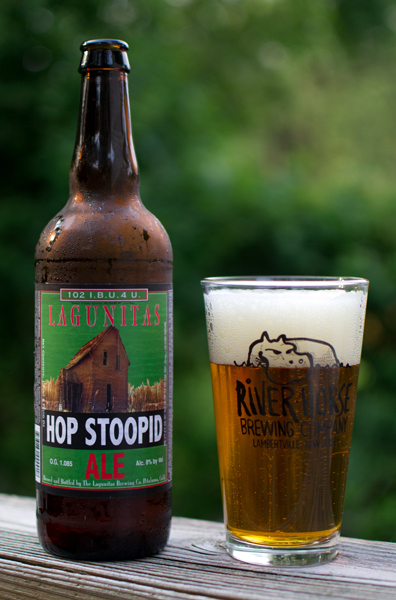 My drink of choice today is beer #179, Hop Stoopid Ale by Lagunitas Brewing Company from Petaluma, California. 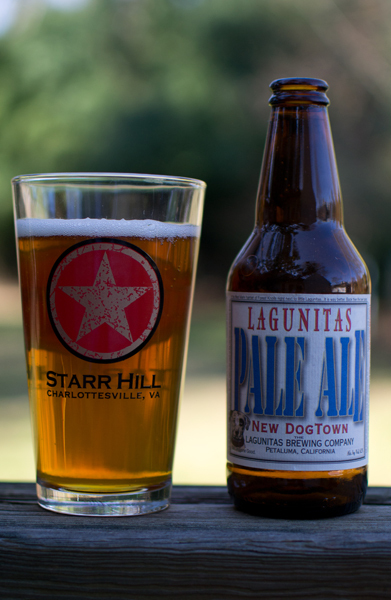 An American Double IPA or Imperial IPA, this brew has an ABV of 8%. The color of honey was the best way to describe this and look at that head…huge and white and frothy. It left some of the best lacing in the glass of any beer I have had to date. Excellent nose…hops, hops, hops, and a bit of sweet malts with aromas of grapefruit, flowery scents, caramel, and a bit of lemon. Talk about a hop explosion taste wise. The taste was all about hops, grapefruit, pine…you get the picture. Even know I smelled the malts, they really get masked in the taste. This was one bitter brew with a lovely bitter aftertaste that lasted quite a long time. It had a body somewhere between medium and heavy with lots of carbonation. 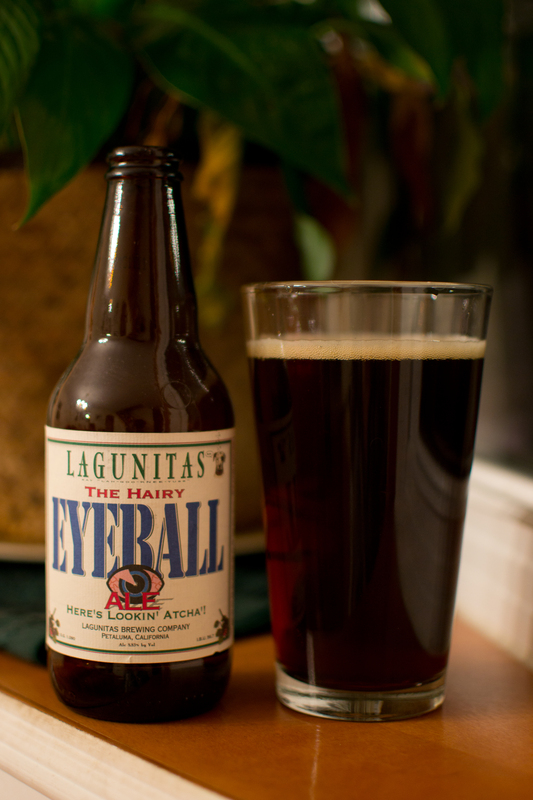 Beware…it is easy to drink (at least for hop heads) but the alcohol, hidden well, rears its ugly head. I think I drank this too quick as I was quite parched and was feeling slightly tipsy from it. I know…call me a lightweight. Yum! This was really, really good. Me likes quite a bit. A Kingly brew indeed! This one goes out to a fellow co-worker who once visited Petluma with another co-worker (both men) on a business trip and visited a winery…together.